A quanto pare se ne parla un gran bene di questa distro..
E’ disponibile la versione 3.1.0 della popolare suite OpenOffice.org, pacchetto di produttività personale che integra tra le varie un editor di testi, un foglio elettronico e un tool per le presentazioni, rivelandosi essere una soluzione completa sia in ambito domestico che d’ufficio. Punto di forza di questo software, sviluppato da Sun, è l’essere completamente gratuito, ma non per questo di perdere il flessibilità d’uso e in potenza di elaborazione; di fatto può sostituire la suite Office di Microsoft in modo egregio nella maggior parte degli scenari di utilizzo. Tra le novità implementate in questa versione segnaliamo l’integrazione di tecnche di anti-aliasing nella generazione di immagini sia lineari che curve; questo permette di ottenere una migliore qualità nella visualizzazione di grafici generati in OpenOffice. Sono state migliorate anche le funzionalità di file locking, con le quali evitare che un documento possa venir accidentalmente modificato o sovrascritto con versioni sviluppate da altri utenti. Nelle scorse settimane sono sorte varie discussioni circa il futuro di OpenOffice.org, ora che Oracle ha annunciato di voler acquisire Sun (operazione che verrà completata nei prossimi mesi dopo che le consuete verifiche del caso verranno completate dagli organismi competenti). Al momento attuale sembra che non vi sia nulla da temere per gli utenti di questo pacchetto software, complice anche il ruolo di “anti Microsoft Office” che OpenOffice.org di fatto riveste e che per molti versi può continuare a piacere anche a Oracle. Tutte le novità di questa release sono accessibili dal sito ufficiale OpenOffice, a questo indirizzo. Ripper Gang is pleased to announce the final public ISO release of PCLinuxOS 2009.1. This release features kernel 2.6.26.8.tex3, KDE 3.5.10, Open Office 3.0, Firefox 3.0.7, Thunderbird 2.0.0.14, Ktorrent, Frostwire, Amarok, Flash, Java JRE, Compiz-Fusion 3D and much more. We decided to use kde3-5-10 as our default desktop as we could not achieve a similar functionality from kde4. 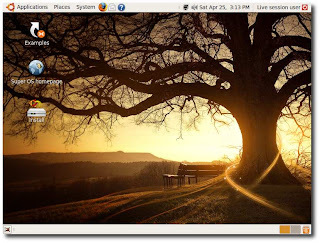 We will however offer kde4 as an alternative desktop environment available from the repository once we stabilize it. PCLinuxOS is an rpm based distribution utilizing apt-get with a Synaptic Software Manager frontend. In addition to the above PCLinuxOS comes with mklivecd GUI, a nice utility to build a custom live CD from your install. Install or remove what you want then remaster your own cd. Great for backups or to give to friends. PCLinuxOS is also known as as rolling release distribution. What that means is you install once and update it when new applications become available from our repository. Special thanks goes out to gettinther, Sal, Linuxera, Neverstopdreaming, Davecs, gri6507, Stumpy842 and etjr. Also to Enki Consulting for hosting the website and ibilio.org for hosting the software packages. Also the pclos-gnome team are proud to the announce the 2009.1 release of pclos-gnome. Featuring: kernel 2.6.26.8.tex3, Gnome 2.24.3, Mozilla Firefox 3.0.7, Mozilla Thunderbird 2.0.0.17, Gnome office apps, Brasero, Gnome Power Manager, Exaile Music Player and many more! Almost 2.5 gigs of software compressed on a single self bootable livecd that can be installed to your hard drive provided it is compatible with your system and you like the distribution. Over 8000+ additional packages available after hard drive install through the Synaptic Software Manager. ndC: ho scaricato la iso in 18 minuti !!!! Kuki è una nuova distribuzione Linux ottimizzata per girare sugli Acer Aspire One. La distribuzione Linux Kuki è un fork della distribuzione Linux Ubuntu 8.10 dotata dell’interfaccia grafica XFCE che riconosce l’hardware dell’Acer Aspire One. The Osiris Team is happy to announce a new version of Osiris. Osiris 0.12 gives many new improvements over every features: security, speed, stability and moreover this is the first Osiris version that introduce a native support of GNU/Linux. Osiris is a freeware software made to build completely shared portals through p2p ( serverless ) and the new version 0.12 add the gateway Isis feature that gives the read-only access, to all content available on the Osiris p2p network with just a common web browser. The software doesn’t need any other pre-installed component to work, and it is distributed as installable software or portable, it’s useful for external hardware. To register to a portal it’s needed only to click on invite-link, or copy and paste the link into the browser. It’s available a dedicated forum to spread invite links, here you will find and publish link to portals made by the community. To surf portals where you have been registered, by running Osiris, click on the right arrow-button: you will see the main page showing all your subscriptions. To made new portals is available a Video Tutorial that shows how to made a new one, manage contempt and publish it on the dedicated forum. We kindly ask to report any problems on the official forum. A special thanks is given ( as usual ) to all the support team for the contribution to the release of this version, thanks! E’ uscita Easy Peasy 1.0 !! !